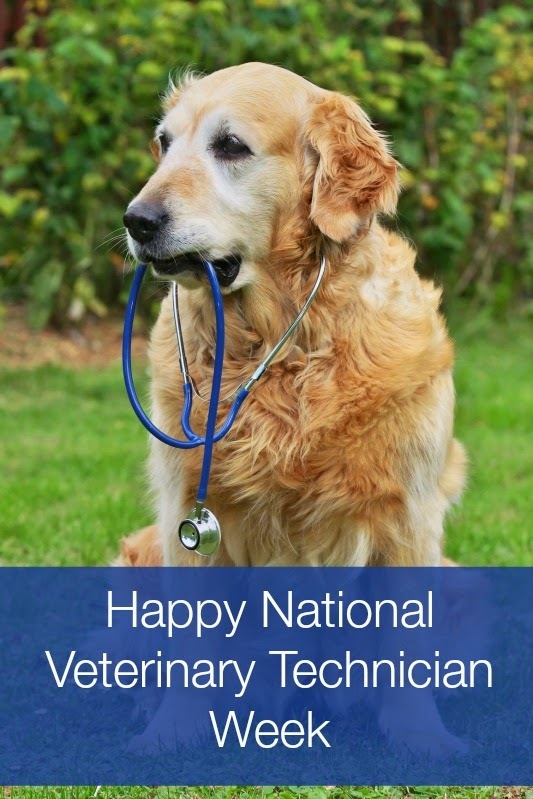 This year, National Veterinary Technician Week is October 12th - 18th. This is a special week to recognize Vet Techs. A Veterinary Technician works alongside a Veterinarian and assists them with many different things. A Vet Tech is similar to a nurse, but only for animals instead of people. They are trained to do what seems like an endless list of tasks. Some of the skills I learned while working as a Vet Tech include radiology, dentistry and oral hygiene, laboratory technician, parasitology, phlebotomist, surgical assistant, janitor, receptionist, groomer, and so much more... I can think of so many skills that Vet Techs use, it would probably take up pages of paper. The amazing thing is that many Vet Techs are not just trained to care for one type of animal. They are trained to care for multiple species, all of which are very different from each other. 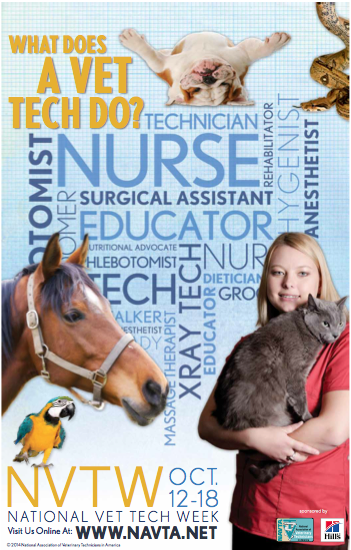 Is Working as a Vet Tech the Right Job for You? Even though these blog posts were written quite a while ago, I still occasionally get emails from people asking about a career as a Veterinary Technician. Quite recently, a young girl getting ready to graduate from high school sent me an email wanting to know more about being a Vet Tech. She was contemplating either going to college for Marine Biology or Veterinary Technician. I am flattered that this girl emailed me, of all people. I mean, that's a big life decision for her. While I couldn't advise her on Marine Biology, I was able to answer her questions about becoming a Vet Tech. Being a Vet Tech is definitely an exciting, fun, and challenging occupation. So to all the Vet Techs out there, we appreciate all of your hard work and dedication to the animals you care for - thank you! Haha! That is awesome Easy! We love our Vet Techs and wish them all the happiest week! We have been blessed to work with some amazing techs over the years. We wish them all a great week. We have been blessed beyond measure with the Vet Techs at our Vets office. They make a world of difference between the drive there and waiting to see the Vet. So happy to celebrate them this week! We love the vet techs at our vet's office. They are such a big help when I call with questions, and they were so supportive when we lost our last two dogs. Vet techs are wonderful and we have been able to meet many fabulous ones over the years. I've never heard of Vet Tech Week but yay that there is one! Vet techs are all so wonderful and helpful and caring. They are usually so calm under stress and I've rarely seen one that was frazzled. I've never had one that was nervous around nervous Chihuahuas. That takes talent and skill! That's awesome Caryn! There are not many animals that vet techs are nervous around. Maybe with the exception of a new vet tech. I know that when I first started working with large parrots and even other birds, it was a little scary at first. With good guidance and experience, it soon becomes no big deal!